for $468,000 with 3 bedrooms and 2 full baths. 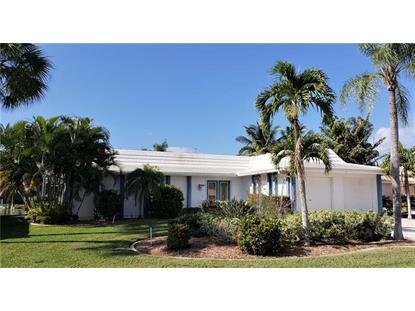 This 1,668 square foot home was built in 1976 on a lot size of 0.22 Acre(s). PRICED TO SELL! If you are a boater, this location is perfect for you. Beautiful cul-de-sac street, gorgeous landscape and underground utilities, and only 15 houses to the harbor with no bridges! Home has an oversized lanai with a 400 square foot heated pool. West facing lanai has covered and uncovered area to watch the beautiful sunsets. Open concept living/dining room have stunning views of the canal through a 4 pocket slider that disappears behind the walls. Kitchen is open to the living areas as well and has granite counters, abundant cabinetry, stone tile backsplash, pantry style storage, lighted display cabinets, LED under cabinet lighting and pass through window to lanai. Dinette has two french doors with views of pool. Master bedroom has pocketing slider, abundant light and beautifully designed bathroom with dual sinks, walk in closet and large shower. Guest bedroom has two closets, large windows and nook with shelving. Third bedroom is currently being used as an office/den with custom designed birch cabinetry and storage space for two work stations. There is a concrete dock with room to add more if desired. The concrete seawall measures 80 feet and is maintained by the City. Other features include an interior laundry room with additional storage and sink, two closets in the foyer and a beautiful front porch to welcome your guests. 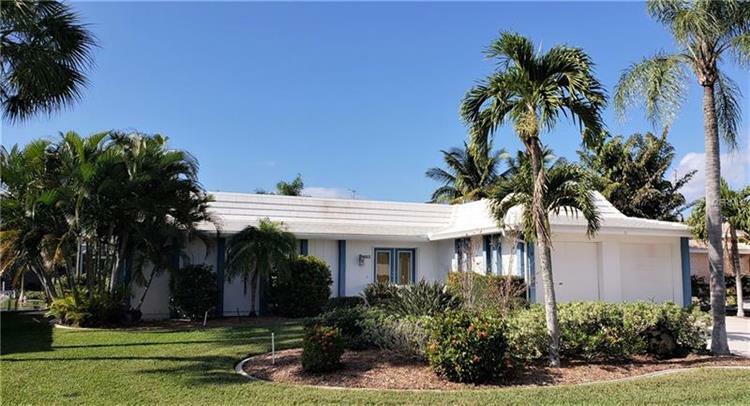 Extensively remodeled in 2005 and beautifully maintained, there is too much to list, please see attachments for more information and come see for yourself!